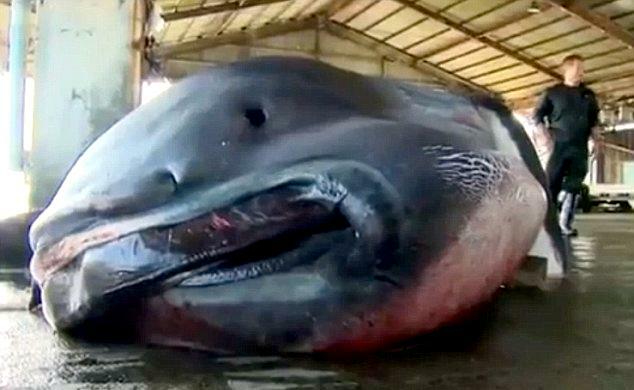 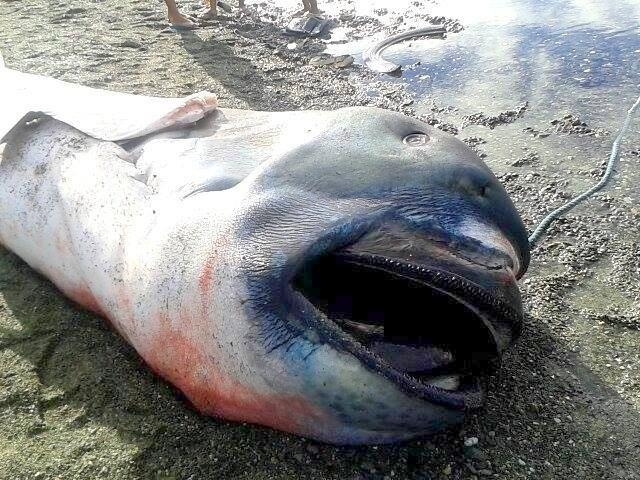 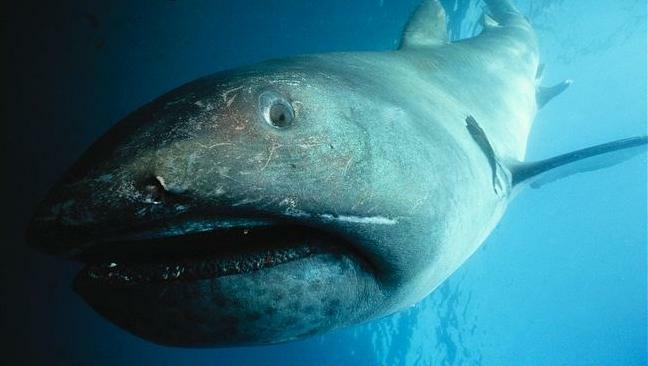 The Megamouth Shark is one you won’t readily see when you are in the water. 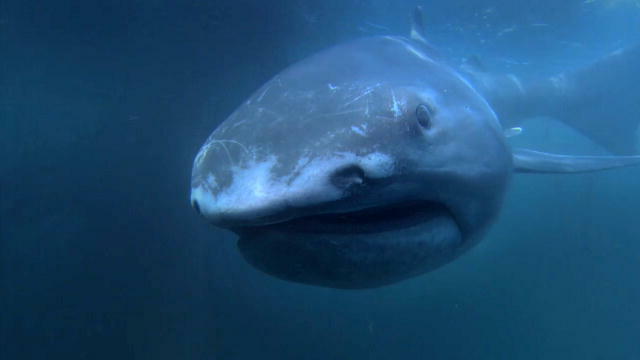 As their name implies, a Megamouth has a large mouth with small teeth and a broad, rounded snout. 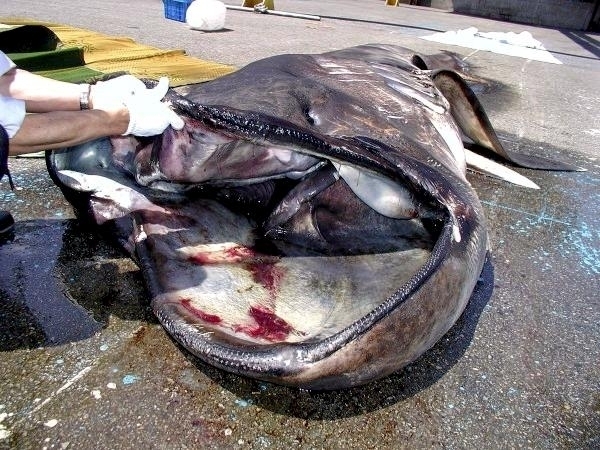 The mouth is surrounded by luminous photophores, which may act as a lure for plankton or small fish. 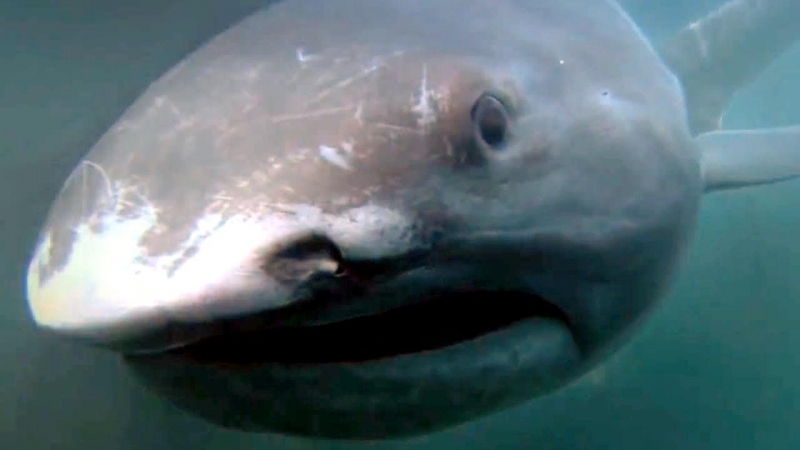 Their mouths can reach up to 1.3 meters (4 feet 3 inches) wide. 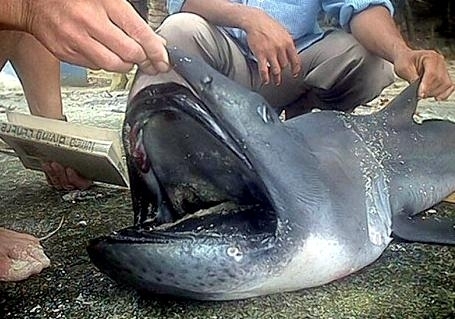 The Megamouth Shark is rarely seen and it has only been in the past 30 years that it has even been recognized as a species of shark. 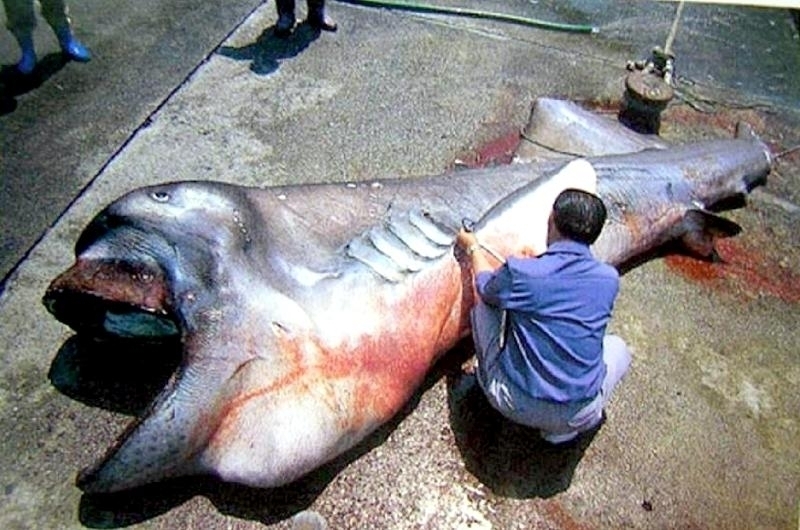 The first one was spotted around Hawaii. 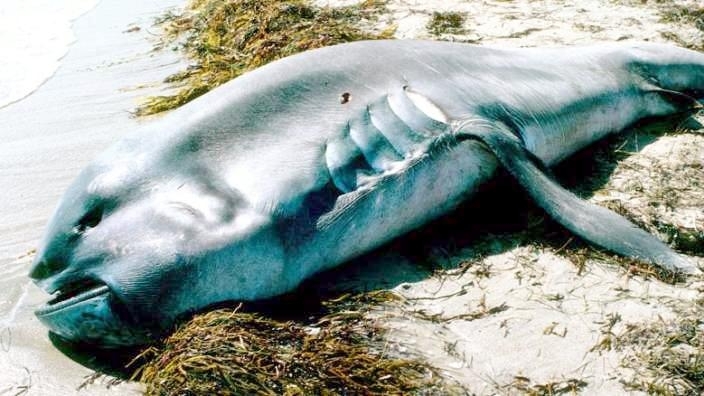 They have also been spotted around Japan in recent years and other sightings have taken place in the Pacific, Atlantic and Indian oceans. 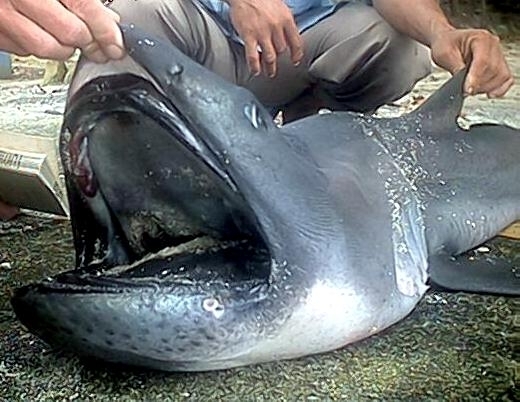 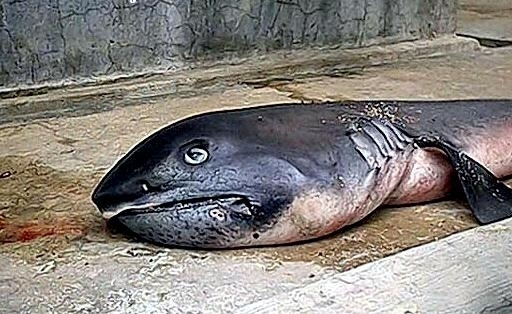 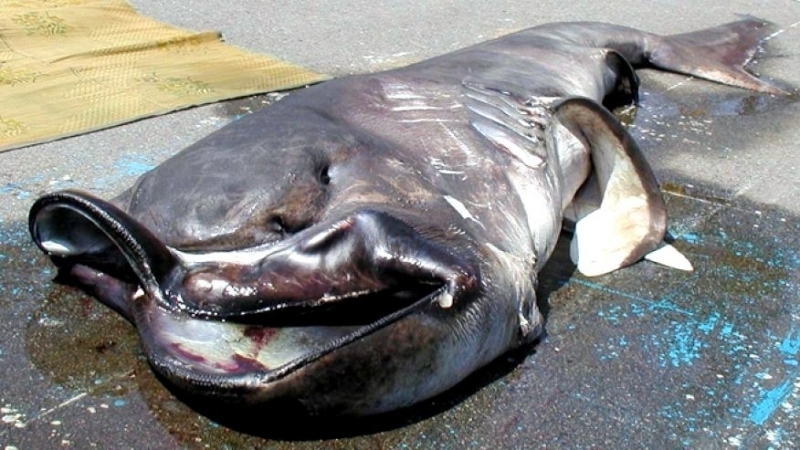 The Megamouth Shark is considered to be one of the most rare forms of sharks. 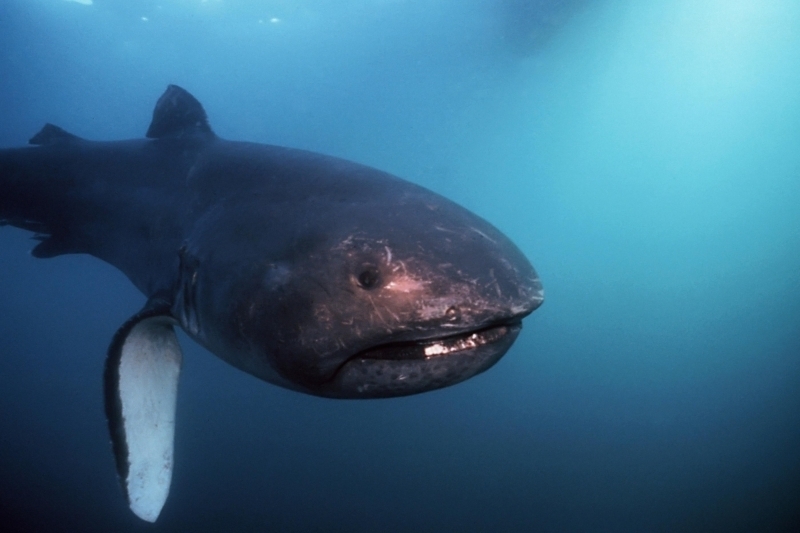 They aren’t often seen by people and that can lead one to wonder if they have decent numbers or not. 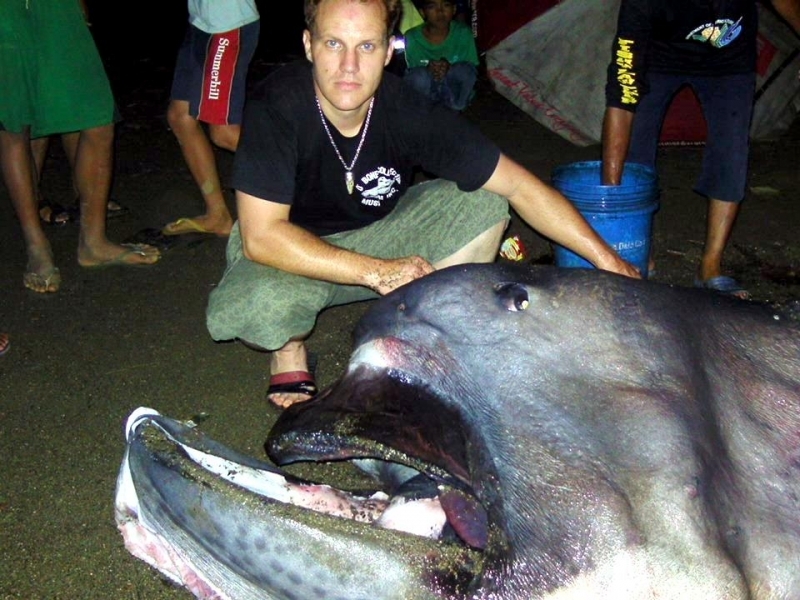 Only 54 have ever been seen & documented with only 3 ever captured on film. 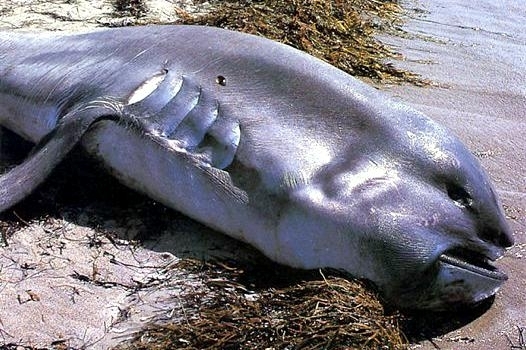 They weren’t discovered until 1975, when a navy ship accidentally found one caught up in their anchor. 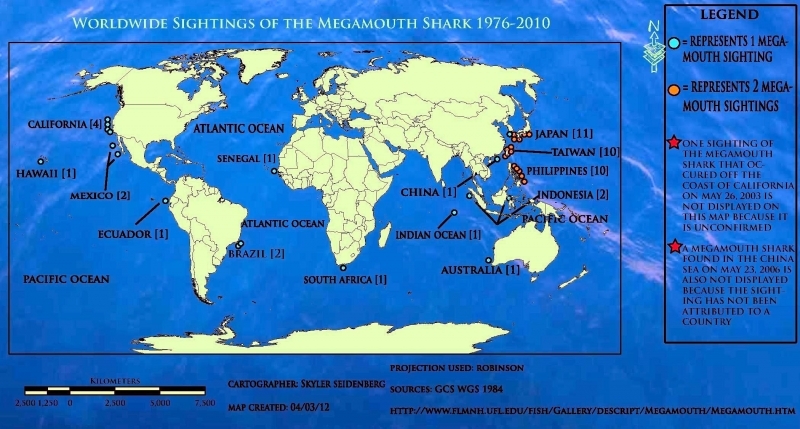 Yet it wasn’t until 1983, that it was proven to actually exist. 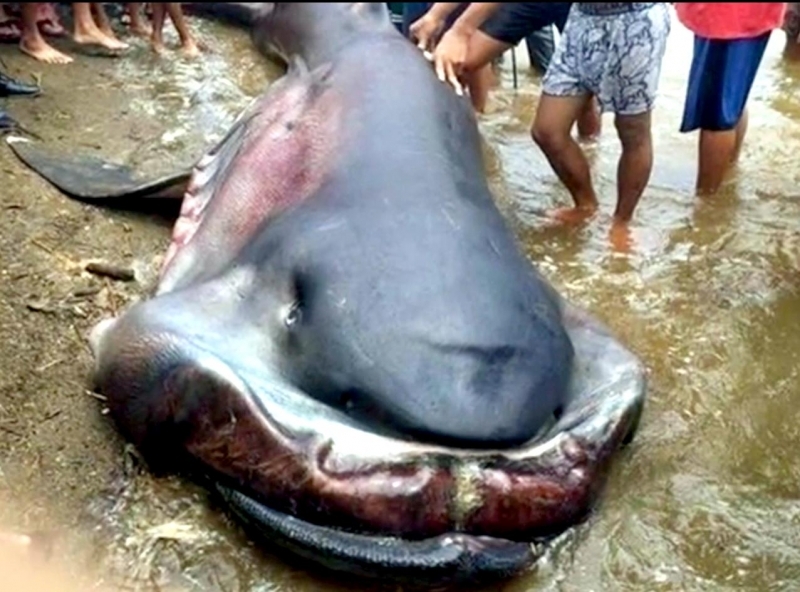 In fact since the early sighting, the Megamouth Shark was rumored to be just a hoax by the military in an effort to gain attention. 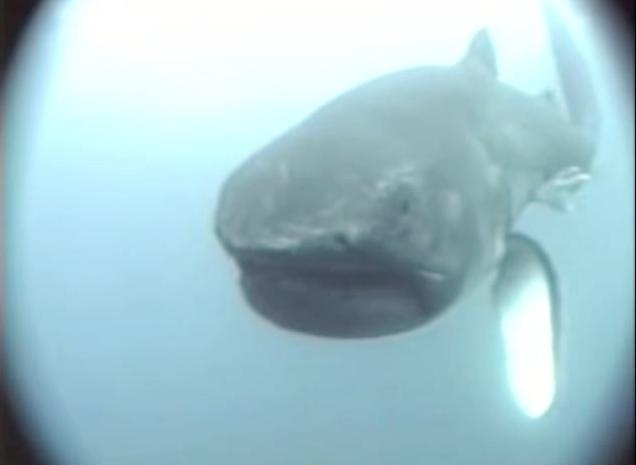 This is one of the 3 types of sharks that are filter feeders, the others being the Basking Shark and the Whale Shark. 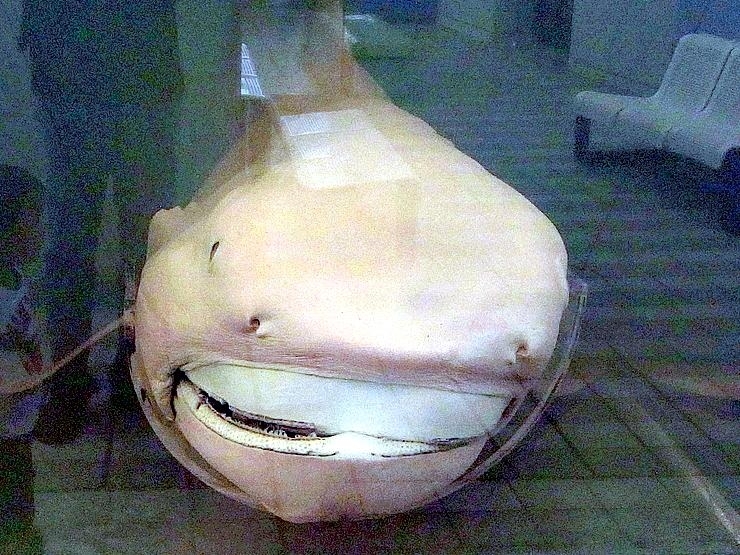 They have uniquely designed jaws & gills for it. 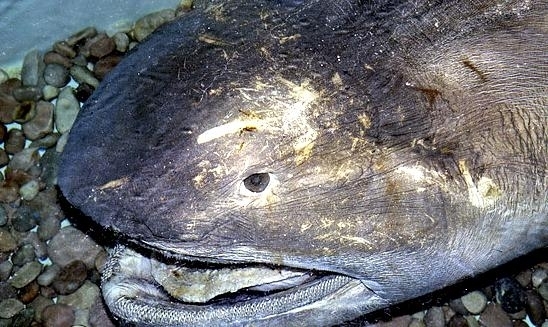 The water and anything in it is taken into the mouth, then it is filtered out by grates around the gills. 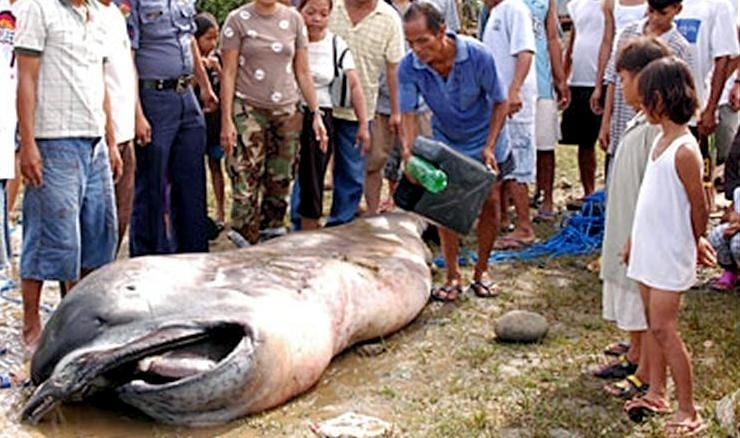 They water is pushed back out with the various debris found in it consumed. 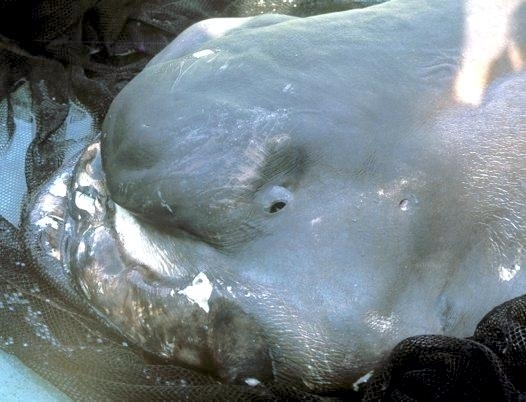 Filter feeders help to keep the water clean for all aquatic life. 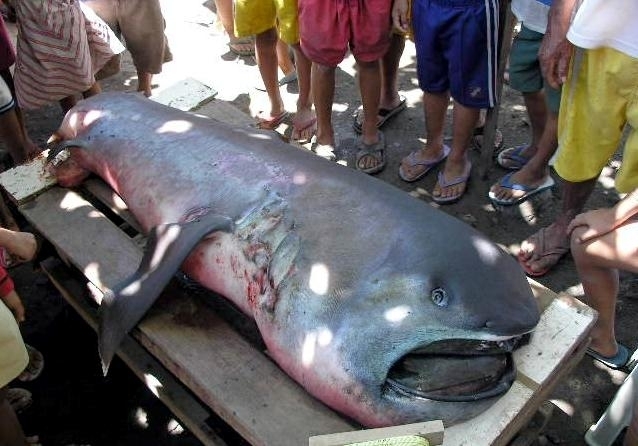 There also never seems to be a lack of food available for such sharks like the Megamouth Shark. 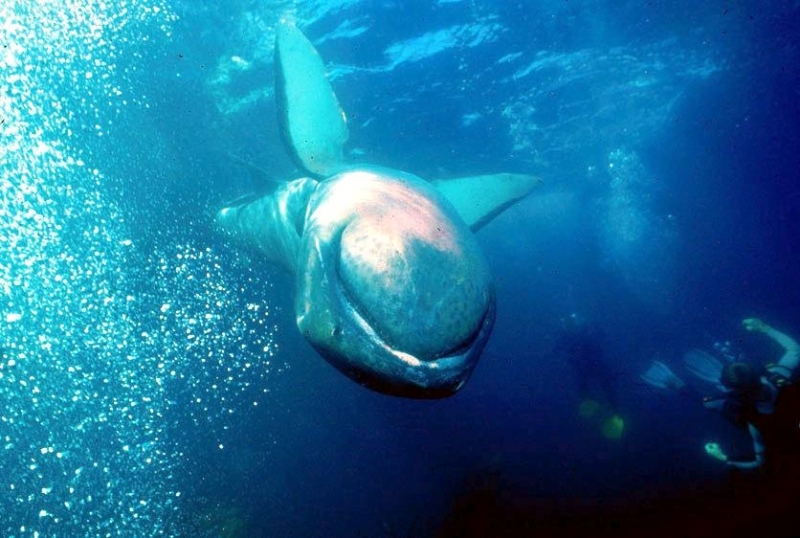 They really enjoy it though when they are able to get some sea jellies or plankton in there too. 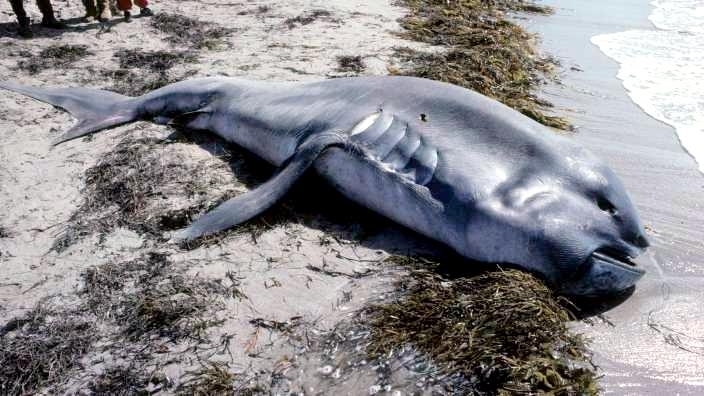 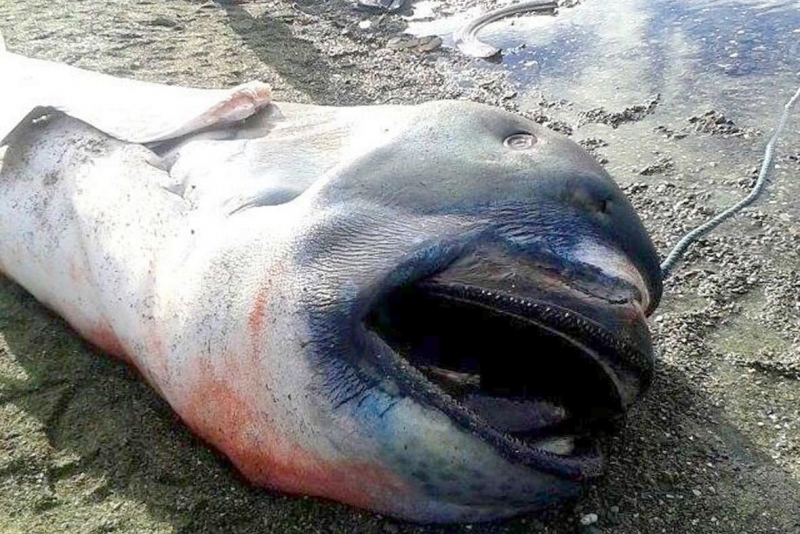 In fact they will likely surf areas known for such creatures first so they can get the food source they really want before they take what they can get. 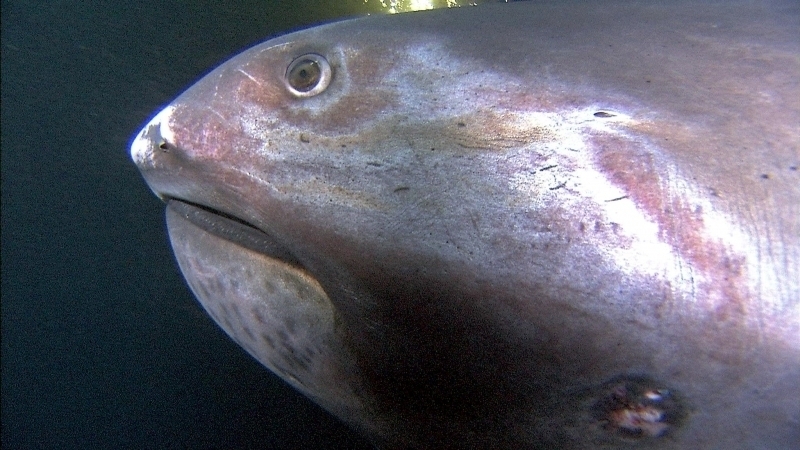 One of the most distinct features of the Megamouth Shark is the head. 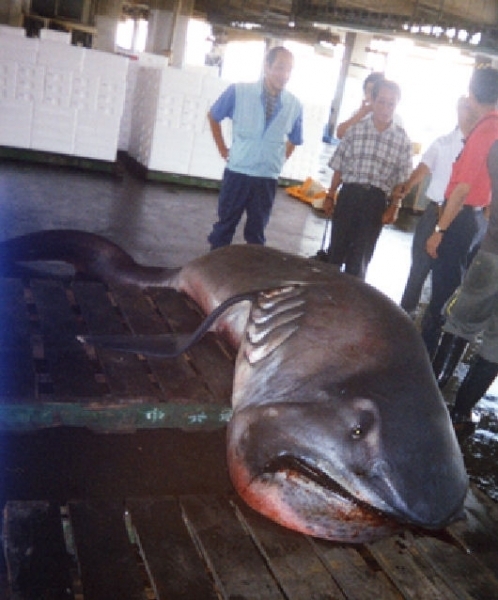 It is many times larger than other species. 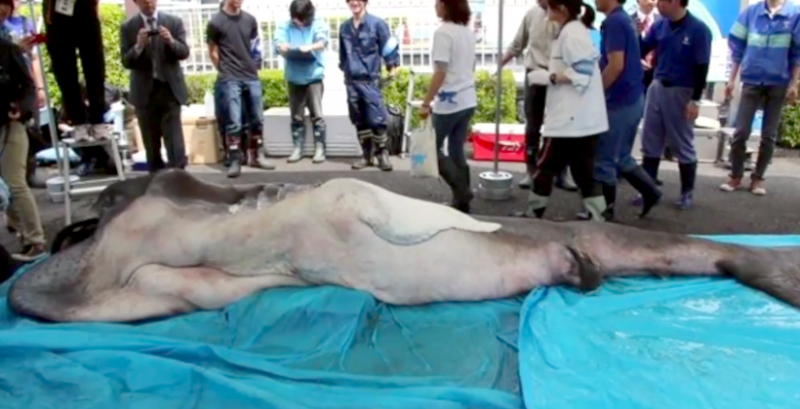 It doesn’t seem to be in proportion to the rest of the body either. 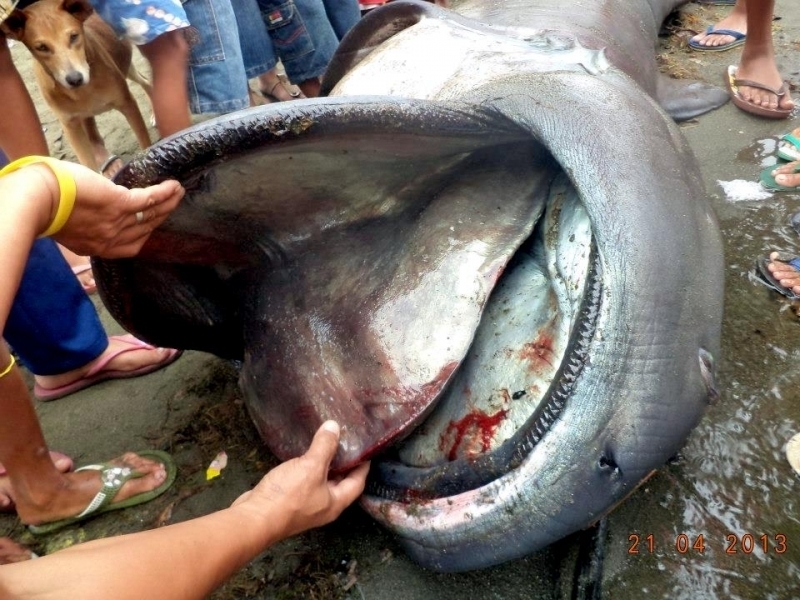 It also has lips that are different from anything you have seen before. 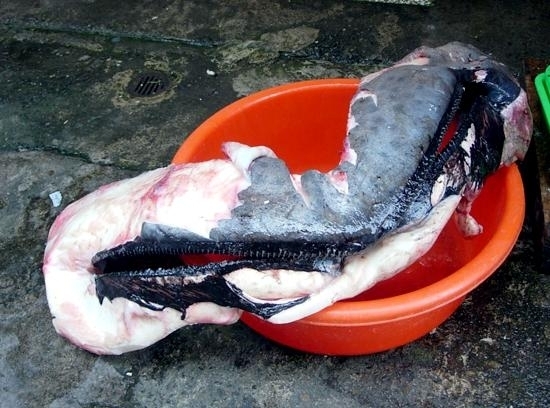 They help with the process of filter feeding. 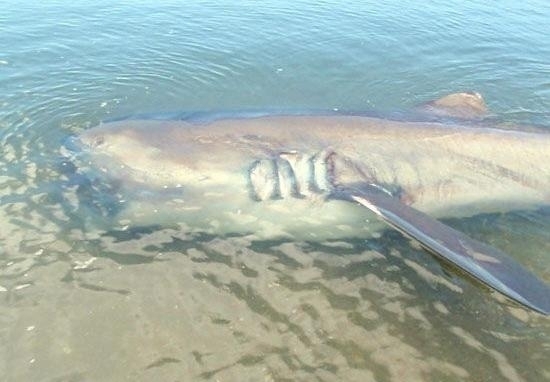 They have a small dorsal fin and a slightly tipped tail though to help with balance as they move in the water. 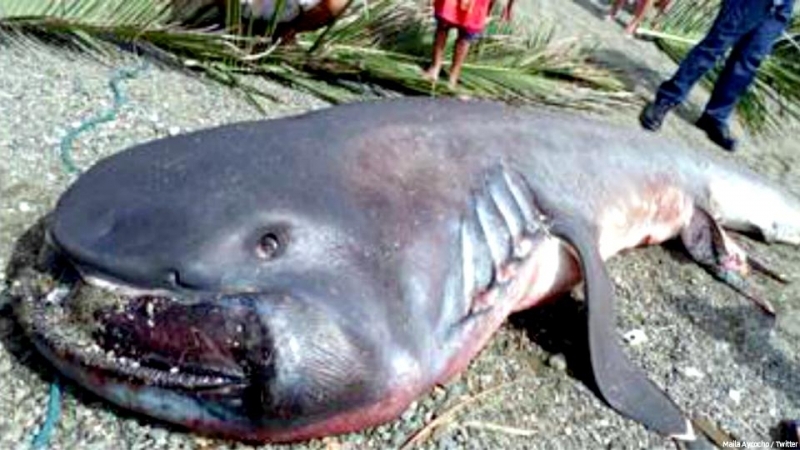 Based on what has been researched, they are believed to be from 13 to 16 feet in length and to weigh up to 2,700 pounds. 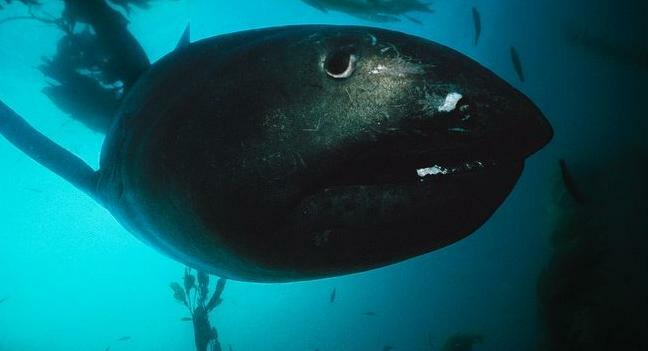 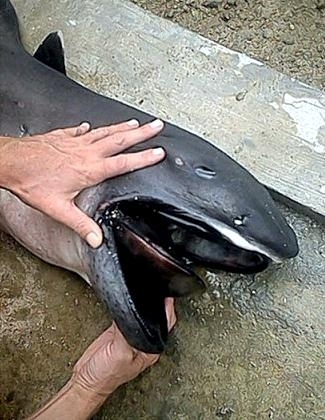 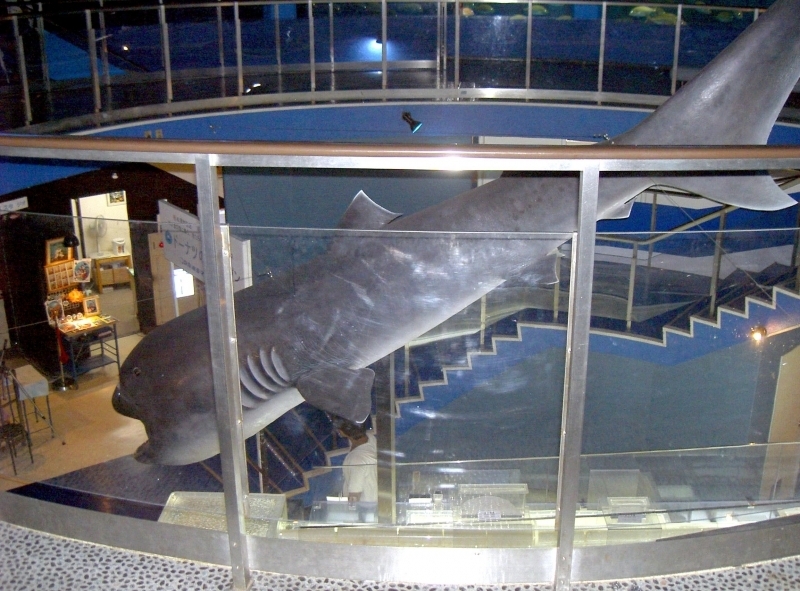 There isn’t very much information known about the reproduction of the Megamouth Shark. 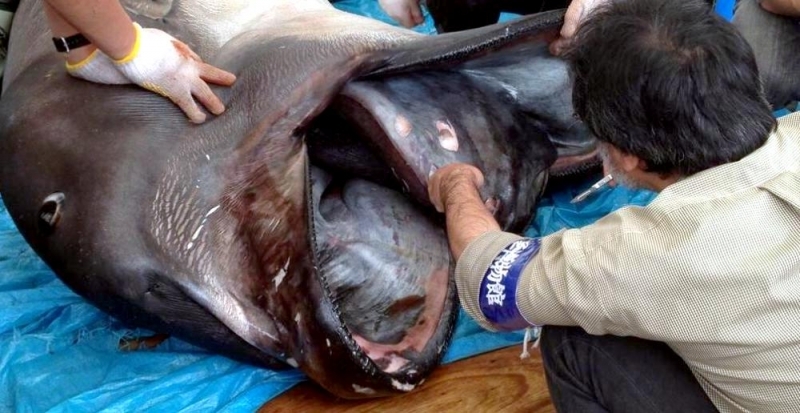 What is known is that the females carry eggs inside of them with the pups until they are ready to hatch. 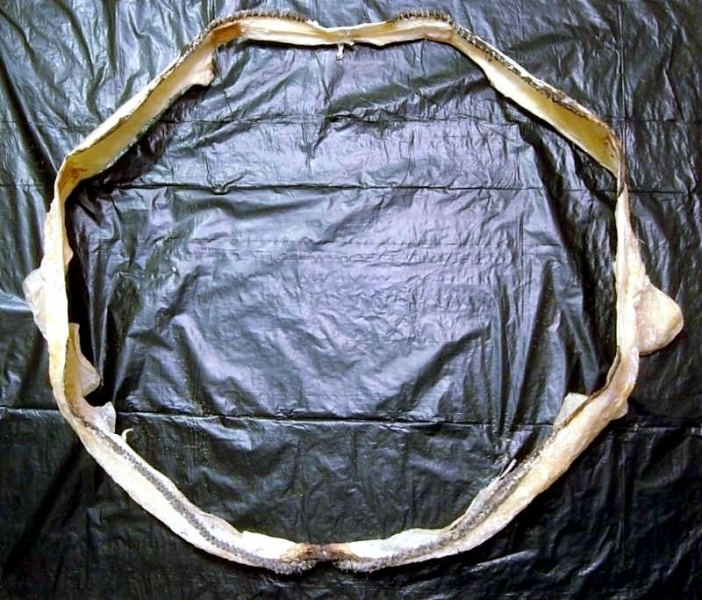 The estimated number of pups per litter isn’t known. 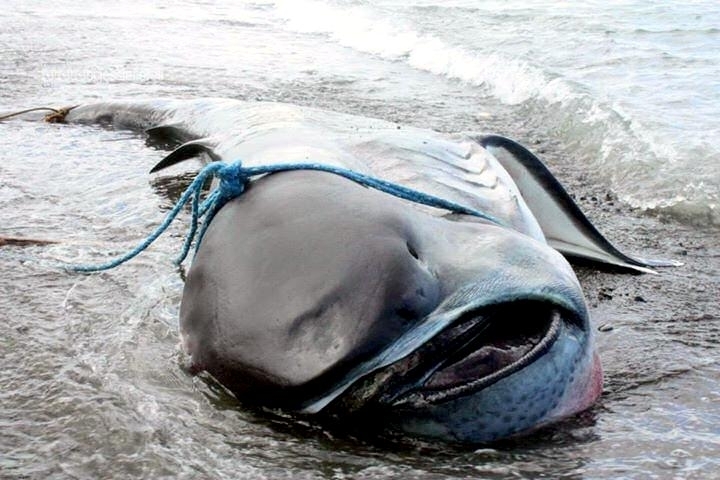 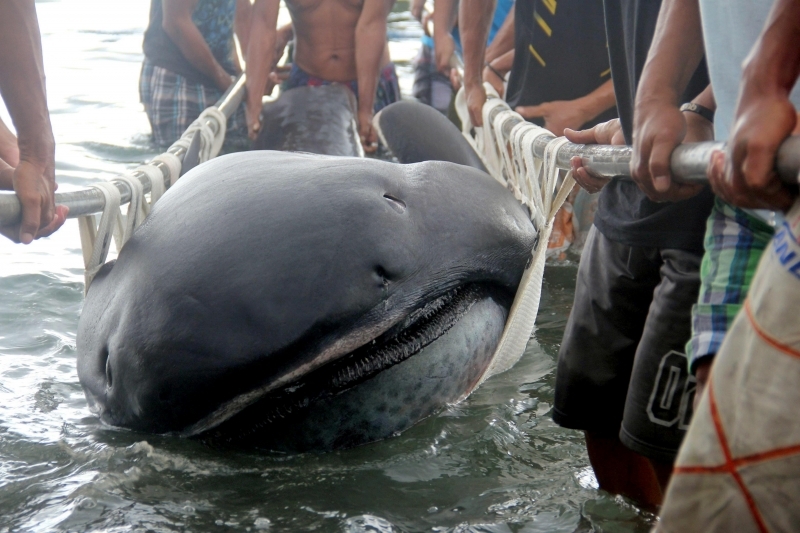 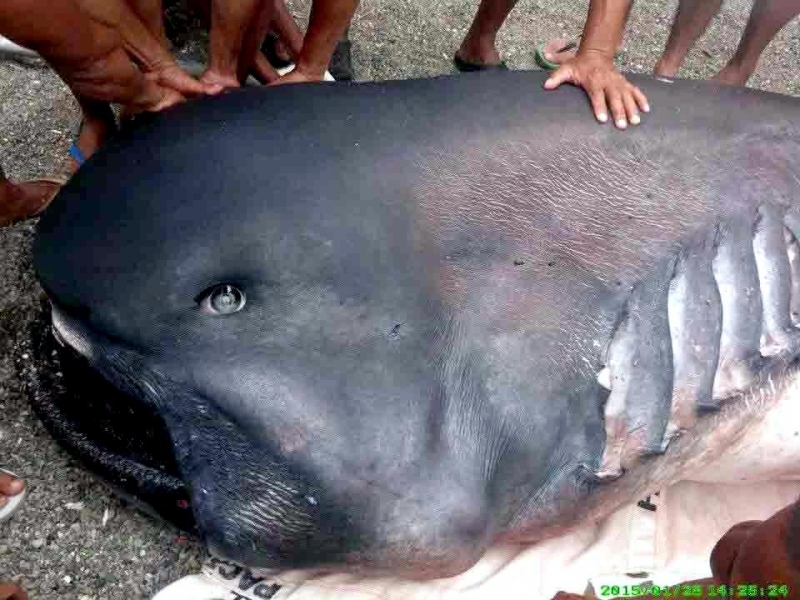 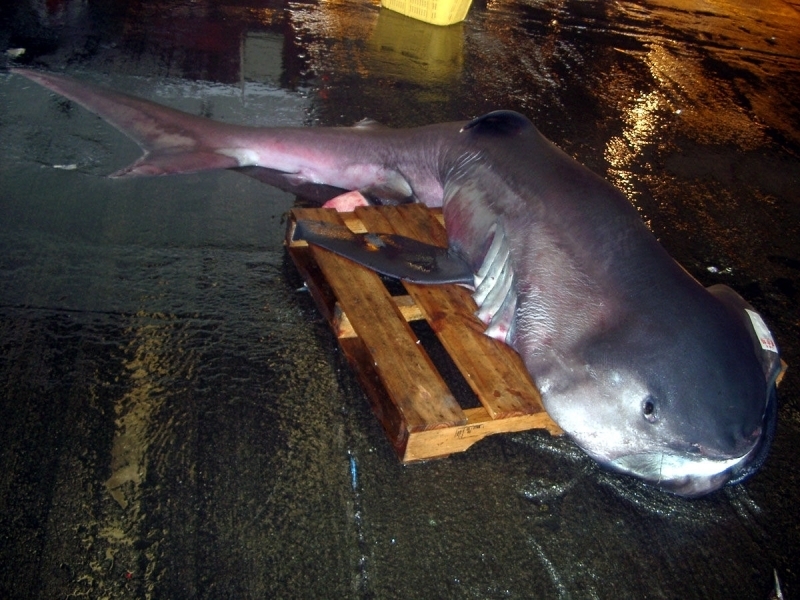 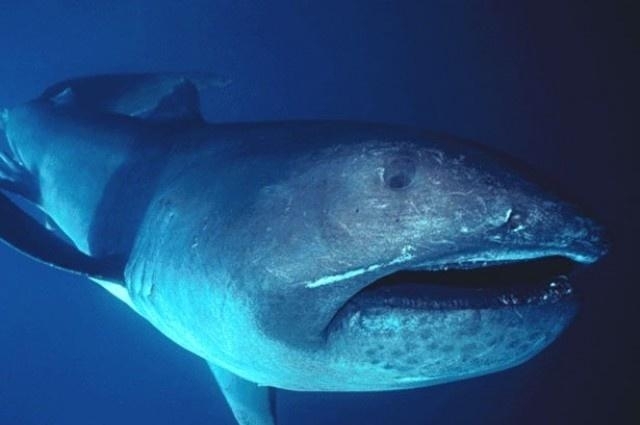 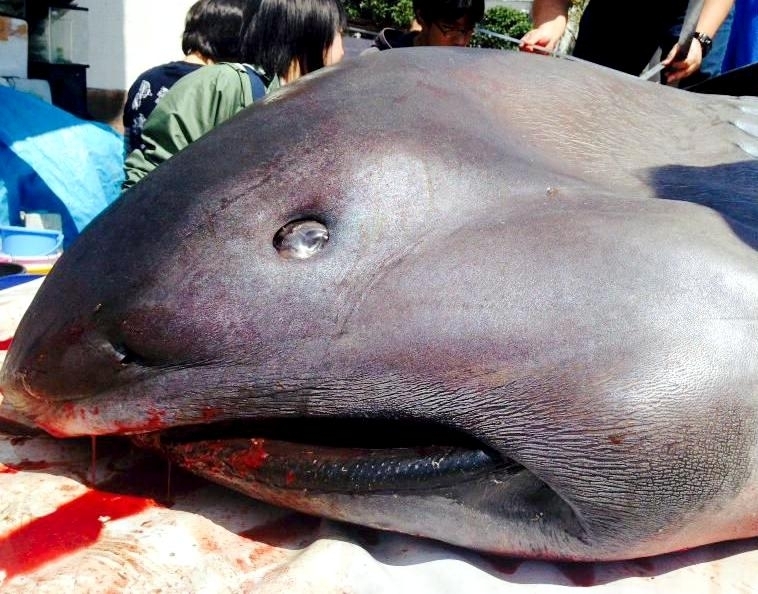 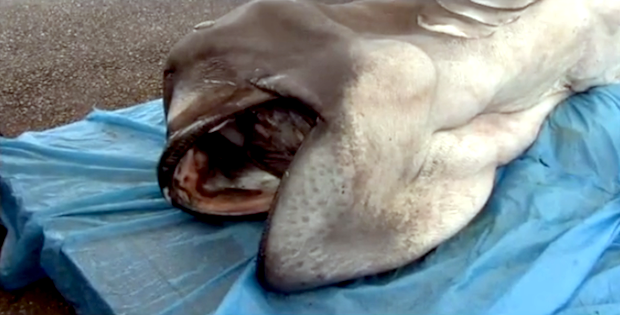 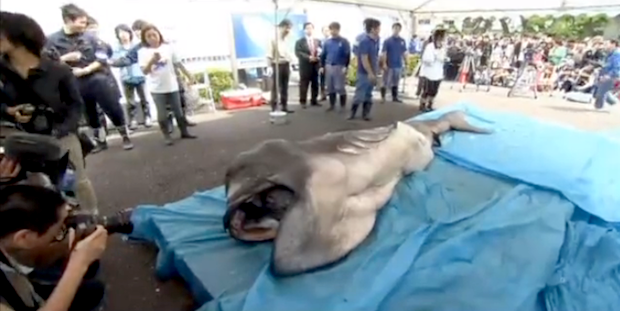 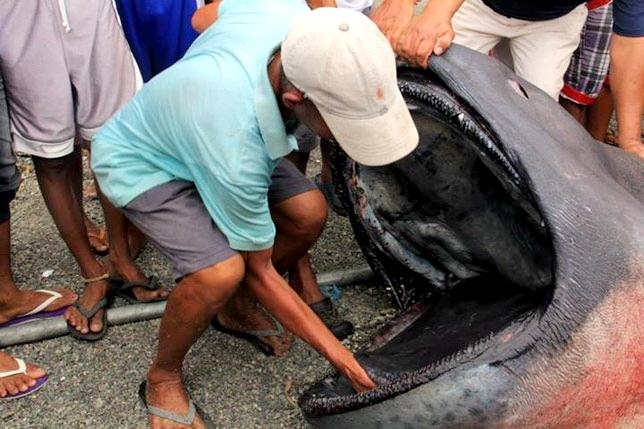 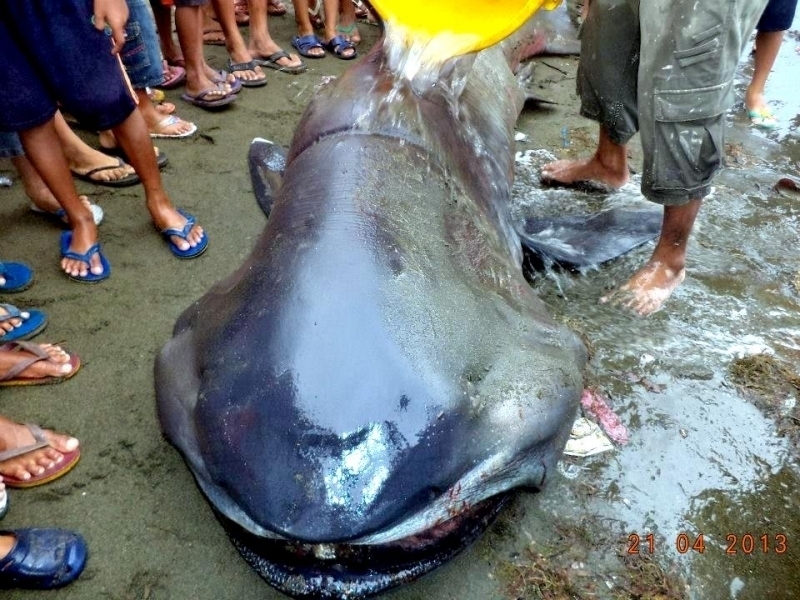 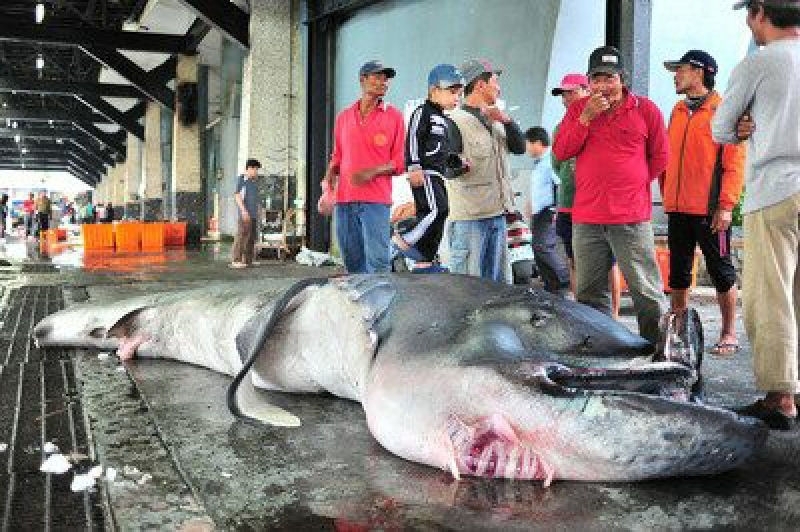 The future of the Megamouth Shark remains mystifying. 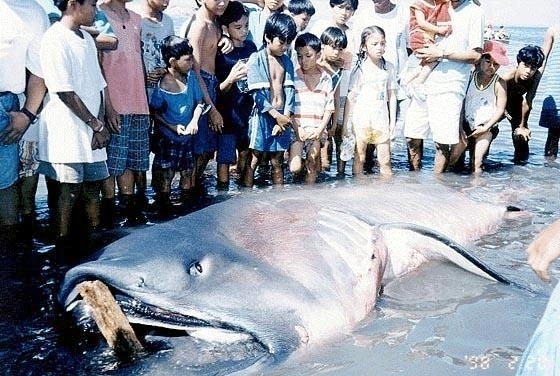 Since we don’t really know how many of them exist, it is extremely difficult to calculate how many of them there are. 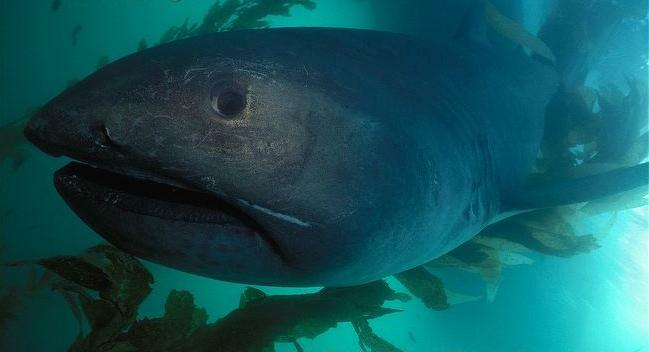 Scientists believe they have healthy numbers though and that they are quite versatile so they can easily survive. 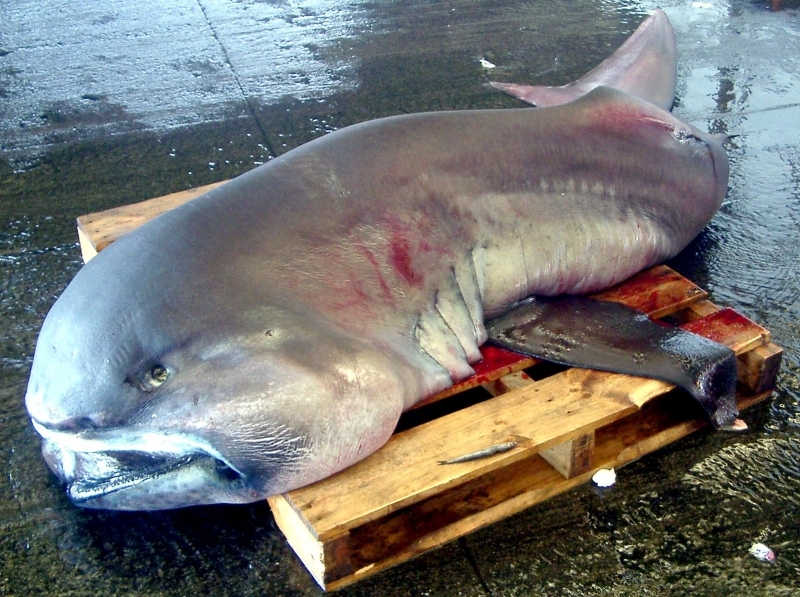 More research has to be done but finding these sharks can prove to be very difficult.